Life in modern cities has fast-pace, high-pressure, abrupt changes, this is a risk factor to female diseases. 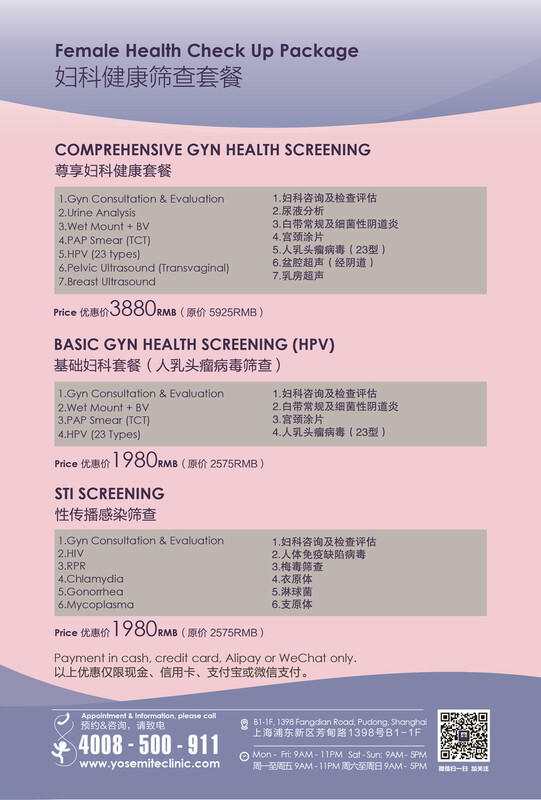 The incidence of dysmenorrhea, ovarian cyst, uterine fibroid and cervical disease are increased. To protect feminine health, Yosemite Clinic offers Female Health Check Up Package.